Catching a vintage bus to the Dome of Home! 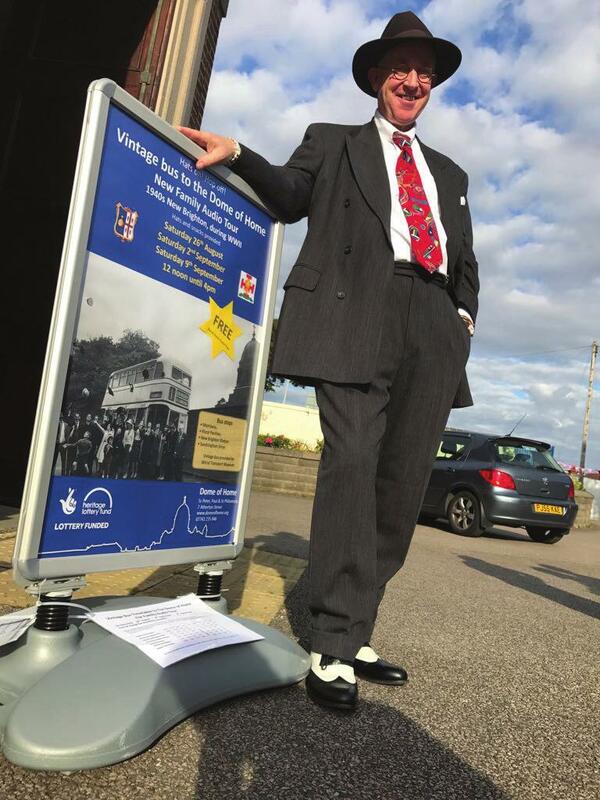 A local volunteer puts on the style – 1940s style that is! Good publicity from Sean Styles on Radio Merseyside helped visitors step into WWII to enjoy the new Audio Tour at Ss Peter, Paul and Philomena’s Church. Wirral’s Mayor, Ann McLachlan and her grandchildren were among the 400 new visitors. 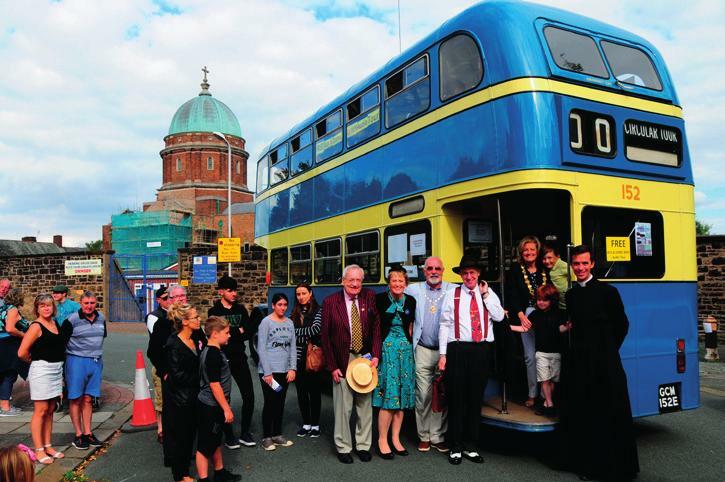 A vintage bus from Wirral Transport Museum added fun and local volunteers, dressed in 1940s costumes, provided refreshments, making three September Saturdays memorable in New Brighton. The Audio Tour is set during the war, at the time when the church earned its nickname. It consists of 13 short scenarios, written by local people based on truth, dramatized and performed by adults and local drama students from St Mary’s College, Wallasey Village. The Audio Tour is part of Delivery of our third Heritage Lottery Funded Project to halt water penetrating the two, beautiful side chapels. We hear Fr Mullins, the energetic priest who built this basilica-like landmark in 1933, helping local people as they struggle with the difficulties of WWII bombing, conscription, rationing and The Battle of the Atlantic. Canon Montjean, rector of the Shrine Church said, “We were delighted with the enthusiastic feedback for this year’s Heritage Open Days. Our next step is to produce supporting teaching material for an Education Pack so that local Primary Schools can enjoy it too.” Group and school visits can be arranged by emailing contactus@domeofhome.org or phoning 07743 235047.